CNKDaily founder Channing (Chan-Lo) hosted “Friendsgiving’ sponsored by Budlight and featuring Phoebe Lovatt, a Freelance Writer + Moderator and Founder of The WW Club. 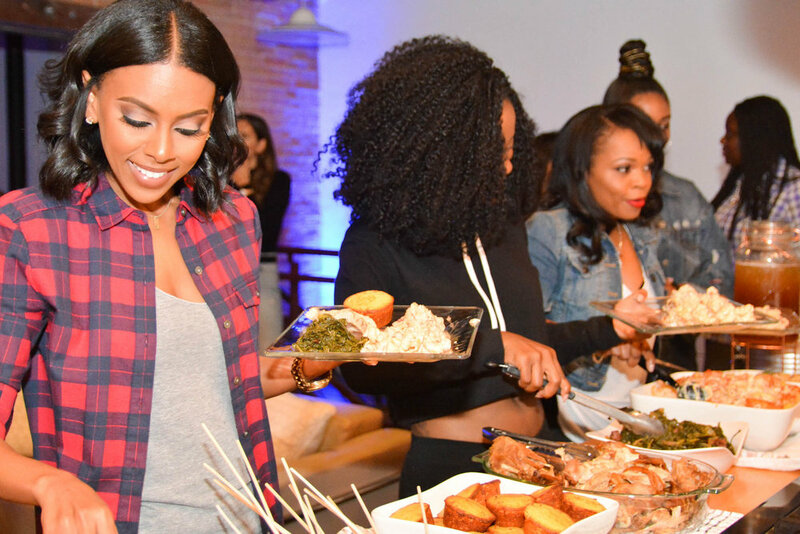 The exclusive event was catered by Chef Gabrielle McBay who curated a feast fit for the queens in attendance. Among our favorite Thanksgiving foods --- greens, mac-n-cheese, turkey and cornbread -- McBay incorporated beer into select items to install the Budlight activation throughout. OFF THE RECORD: It was delicious! ON THE RECORD: The Event was held in a loft-styled event space just shy of the Dallas skyline. Channing’s ultimate goal was to give women tangible tools to help build their careers. In the building where some of Dallas’ key influencers, photographers, creatives, and business women. This event left a sweet taste in your mouth as it was warming and full of girl love. It’s the kind of cool and casual event that makes the holiday season something to look forward to. To keep up with more CNKDaily sneakHER style and chickspiration, visit CNKDaily.com! View the remaining photos below!